Merkur Gaming Americas’ new managing director, Charles Hiten, is no stranger to big jobs. Indeed, he was in charge at Novomatic AG of the investment strategy for the Chilean market, which saw the launch of South America’s largest and most successful casino to date: the Monticello Grand Casino and Entertainment World in 2009, and seeing this wonderful property carve itself over 30 per cent of the new Chilean casino market. With more than 15 years in the gaming industry, Charles Hiten has already held a range of important positions in international companies, Ricki Chavez-Munoz managed to catch up with the new head of Merkur Gaming Americas, to talk about his new appointment and his vision on leading the charge in the German company’s business activities in North and South America, including managing activities for the Caribbean market and also for the Cruise Lines business area. 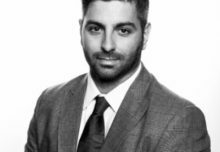 Ricki Chavez-Munoz: Congratulations Charles on your new position at MERKUR Gaming, which is definitely different from your involvement with the mega successful Monticello casino and entertainment complex in Chile. What is your experience on the manufacturing or supply areas of gaming equipment? Charles Hiten: Thank you, Ricki. I am honoured to have been designated as MERKUR Chief Executive – Americas, Caribbean and Cruise Lines. Along with the rest of the team I will look to build upon the foundation and legacy left by our friend Jens Halle. As to your question: Actually my engagement with Monticello was never very far removed from the manufacturing and distribution side of the business. Monticello afforded me an opportunity to again get closer to the operational side of the business in a way that translates into improved products and content. In addition to my Monticello-related responsibilities I remained closely involved with various sales and support subsidiaries in South America as an extension to my previous role as one of the Managing Directors of Austrian Gaming Industries, Novomatic’s primary development, manufacturing and distribution arm. RCM: No doubt your experience in the region is extensive, but how do you see MERKUR Gaming’s role in Latin America under your leadership? CH: Our goal is to build upon the foundation and infrastructure already established in Latin America, expanding out from the MERKUR offices in Lima, Bogota and Mexico City. There is a good team in place, and we aim to leverage our strength and experience as both a manufacturer and an operator in order to deliver best of breed content and products ‘made in Germany’. RCM: MERKUR Gaming has been a player in the Latin American market for more than ten years now, and in places like Colombia and Peru, there is a good base for supply and delivery on sound customer service, will the quality of MERKUR Gaming’s products back up and improve on this? CH: Yes, Ricki, I agree, there is a very solid base and we have a good team in place. Our long-term commitment and strategy is to focus on and invest in quality, reliability, innovation, and excellence – that goes for our people, our products, as well as our service. 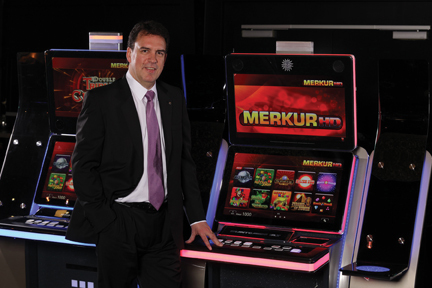 RCM: How important is the Latin American region for MERKUR Gaming? CH: Latin America is a key part of our international growth strategy. MERKUR Gaming’s engagement in Latin America to date is material, and it’s just a beginning. Our goal is to grow our market share in the countries where we already have offices (Mexico, Colombia, Peru) – we are also looking at establishing own operations in those markets, in large part to better understand the needs of our customers – and we will look to continuously expand our sales and support activities throughout the Latin American region to meet demand. RCM: Colombia and Peru are exciting markets in Latin America, but in countries like Argentina there are in place government restrictions on imports. Is this a market that you will be aiming for? Will MERKUR Gaming exhibit at the next Argentine expo in November 2015? CH: Argentina is very important in the Latin American gaming landscape, and whilst the restrictions on imports currently make it difficult to engage fully in that market we hope that those challenges will be short lived. A stand at the exhibition in November this year is not planned. I have no doubt that Argentina will bounce back, and we look forward to being in a position to expand into Argentina in the near future. RCM: I expect that your Chile experience will take MERKUR Gaming games into that country, however, what will be your principal focus in the Latin American and Caribbean markets over the next few years? CH: Ricki, we will look to expand MERKUR Gaming’s install base to participate in all markets, including Chile, within the Latin American and Caribbean region over time. Our current focus in Latin America is on those markets where we already have offices and those countries where our existing customers are located. In the medium-term, macro-economic market conditions will determine the timing of our entry into Argentina. And, in parallel, we will be evaluating establishment of MERKUR operations in various countries throughout the region on a case-by-case basis.